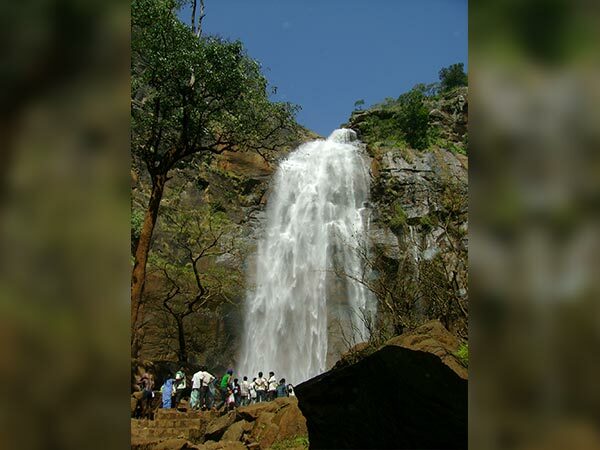 Located in the luxuriant parts of the Eastern Ghats, Kolli Hills is a major tourist attraction throughout the year on account of its waterfalls and temples nestled in its arms. Being a mountain range, Kolli Hills also draws a number of adventure seekers. You can see people here coming to hike and trek, and if you are one amongst these adventure seekers, then Kolli Hills is a not-to-miss weekend getaway. You can also watch several Hindu devotees paying their respects to Arapaleeswarar Temple, which has become quite popular for its spiritual atmosphere and devotional surroundings. Kolli Hills is a year-round destination and hence, can be visited throughout the year. However, if you do not wish to get uncomfortable due to the low temperature during the winter season, then the best times to visit Kolli Hills are from August to November and March to April, when the climatic conditions are favourable enough, letting you roam around comfortably. By Air: You can take a flight to Tiruchirapalli airport from Chennai and from there you can hire a cab to Kolli Hills. Tiruchirappalli airport is located at a distance of 110 km from Kolli Hills. By Rail: There are no direct trains available to Kolli Hills. However, you can catch a train to Salem Junction and then from there you can take a cab to Kolli Hills. Salem Junction is at a distance of about 45 km from Kolli Hills. By Road: Located at an approximate distance of 360 km from Chennai, Kolli Hills is easily accessible by road from Chennai and other major cities. You can hire a cab from Chennai to Kolli Hills. Once you are on your way to Kolli Hills, you can take a break at the following places to refresh yourself. Chengalpattu is known for its popular Kolavai Lake, which acts as a reservoir during the summer season and caters to the water needs of the surrounding cities and towns. One of the largest towns in the Kanchipuram district of Tamil Nadu, Chengalpattu is also popular amongst offbeat travellers for its unpolluted environment and pristine air with the essence of freshness spread all around. How about detoxing in the unblemished space of Kolavai Lake? Being the largest district in Tamil Nadu, the history of Villupuram dates back to the period of the Cholas when the town was a major political and trade centre. Today, Villupuram is home to the ancient Gingee Fort and some temples. How about getting to this historic town of Villupuram and exploring the hidden history of the town and its buildings? Once you are inside the boundaries of Kolli Hills, you will have many options to explore and satisfy the wanderlust within yourself. Apart from enjoying the dense forests and rich vegetation of Kolli Hills, you can visit its popular temples, gardens and waterfalls. Following are few major places to visit once you have stepped on the land of Kolli Hills. If you are looking forward to relaxing in the soothing waters of Akash Ganga waterfalls situated near Arapaleeswarar Temple in Kolli Hills, then do not miss this opportunity to be on the vibrant land of the Eastern Ghats. This place is filled with innumerable tourists during the summer season, when people are looking forward to escaping the heat of the city and getting immersed in the cool weather surrounding the waterfalls. How about taking a bath in the roaring water of Akash Ganga waterfalls and enjoying some quietude? The mountain range of Kolli Hills is considered a pilgrimage site only on account of the presence of Arapaleeswarar Temple, which millions of tourists and devotees visit every year to pay their respect to the lord of Arapaleeswarar Temple and trek through the lively forests of Kolli Hills. The legend of this Shivalinga temple dates back to its origin during the Sangam period and since then, it has been regarded as a holy site where people in a large numbers can come to attain a peaceful mind and go back in a state of Nirvana. Botanical Garden located in these Kolli Hills of Eastern Ghats certainly magnifies its beauty and enhances the existing charm of the mountain range. From boat rides to rose gardens, this botanical garden has everything on offer to surprise its visitors. The divine aura of this park nestled beautifully on the rich land of Kolli Hills is definitely something to experience and relish. Plan a trip to Kolli Hills and give yourself an amazing gift of Mother Nature.